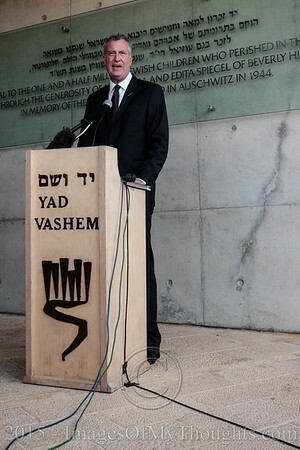 New York City Mayor, BILL DE BLASIO, signs the guest book and addresses the media concluding a visit to Yad Vashem Holocaust Museum in Jerusalem. 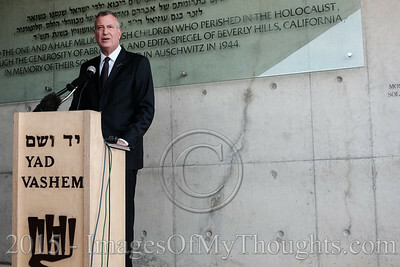 This is de Blasio's fourth visit in Israel, the first since taking office. 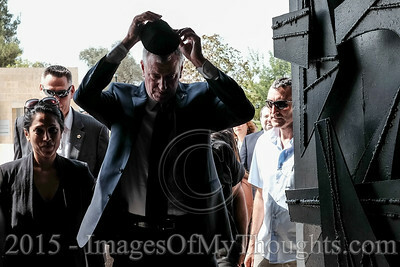 New York City Mayor, BILL DE BLASIO, puts a yarmulke on his head as customary in Judaism on entering the Hall of Remembrance for a memorial ceremony at Yad Vashem Holocaust Museum in Jerusalem. 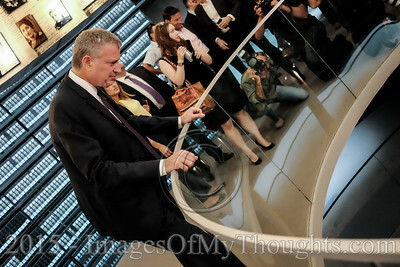 This is de Blasio's fourth visit in Israel, the first since taking office. 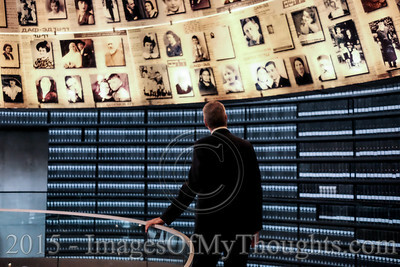 New York City Mayor, BILL DE BLASIO, gazes at enlarged Pages of Testimony in the Hall of Names at Yad Vashem Holocaust Museum, where Pages of Testimony of more than 4,000,000 Jewish Holocaust victims are eternally preserved. This is de Blasio's fourth visit in Israel, the first since taking office. 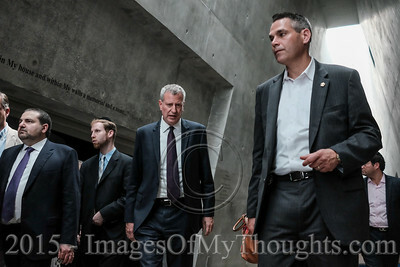 New York City Mayor, BILL DE BLASIO's (C) entourage, walks towards exit of main Yad Vashem Holocaust Museum building. The structure is 180 meters long in the form of a spike cutting through the mountain with a skylight. 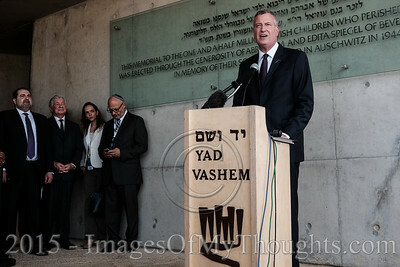 This is de Blasio's fourth visit in Israel, the first since taking office. 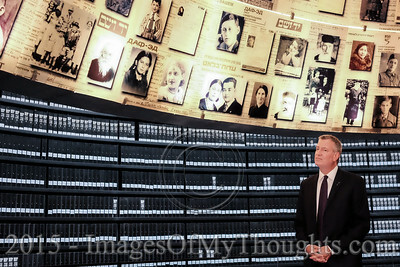 New York City Mayor, BILL DE BLASIO, visits the Hall of Names at Yad Vashem Holocaust Museum, where Pages of Testimony of more than 4,000,000 Jewish Holocaust victims are eternally preserved. 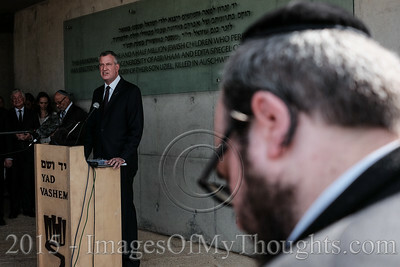 This is de Blasio's fourth visit in Israel, the first since taking office. 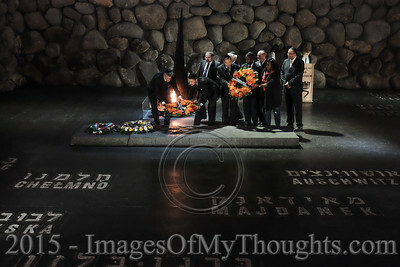 New York City Mayor, BILL DE BLASIO (L), partakes in a memorial ceremony in the Hall of Remembrance at Yad Vashem Holocaust Museum in Jerusalem, laying a flower wreath on a marble slab under which lay ash remains of Jews murdered in the Holocaust. 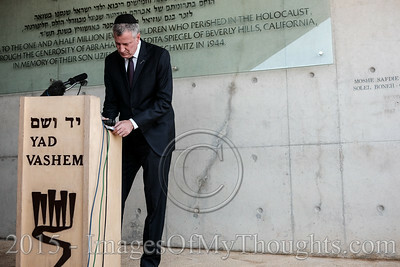 This is de Blasio's fourth visit in Israel, the first since taking office.